More details on registration through motorsportreg. With every special interest club, there are always the 10 %ers. That is, in any organization which exists because of the single common interest, only about 10 % of its members are actually active in its clubs activities. This is also true of our club. 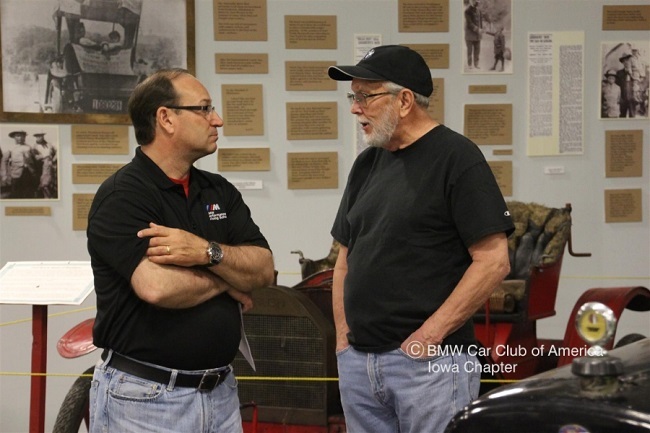 With more than 420 members of the Iowa BMW CCA, only about 40-50 are regular attendees of our planned events and activities. Some members only attend one event each year. Why is that? We have just concluded our Annual Planning Meeting which a very few members provided input for our activity calendar for next year. So, what is holding you back? When I was a new club member about 15 years ago, I was initially slow about attending my first event because I would not know anybody. But the members at my first event greeted me and were happy I was there. Therefore, I have been coming back ever since. So, what is holding you back? We often have one or two new members at our events, and I think they usually have a good time and are welcomed warmly. So, what is holding the other 90% back? We have publicized our events via our newsletter Newswerks, email blasts and Facebook accounts. So, what is holding you back? We are just a little over two months away from our signature event of the year, our Annual Dinner and Awards Banquet. 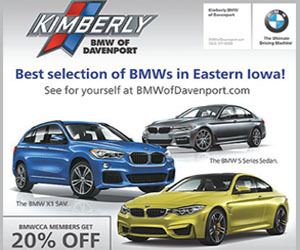 As customary, it is held in eastern Iowa every third year, and this year is the year for eastern Iowans to show us your support.